The island of Naxos was an unexpected gem. 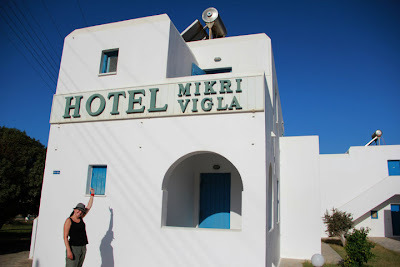 We stayed in a little resort in Mikri Vigla that was cheap and cheerful and had a chic 80's charm about it. 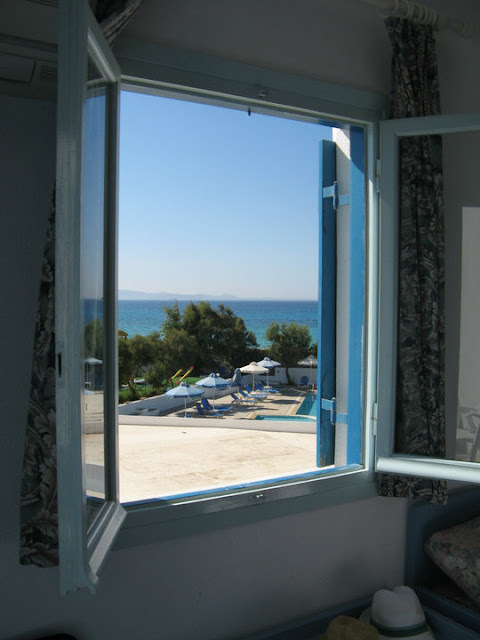 And for 70 Euros a night it was amazing value for what we got. 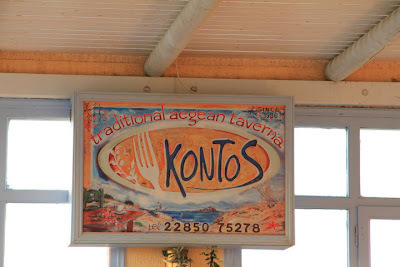 The most amazing find on the island was Kontos.﻿ Kontos is a local restaurant that was a few steps from the beach and our hotel. Kontos specialises in traditional food of the Mikri Vigla area and is one of the only certified with the “genuine traditional and quality Greek cuisine” award. 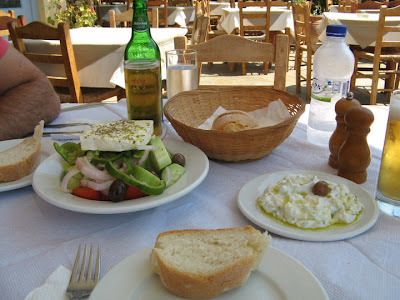 The food was the most fantastic food we ate on our whole trip and I think I can say, the best Greek food we have ever had. 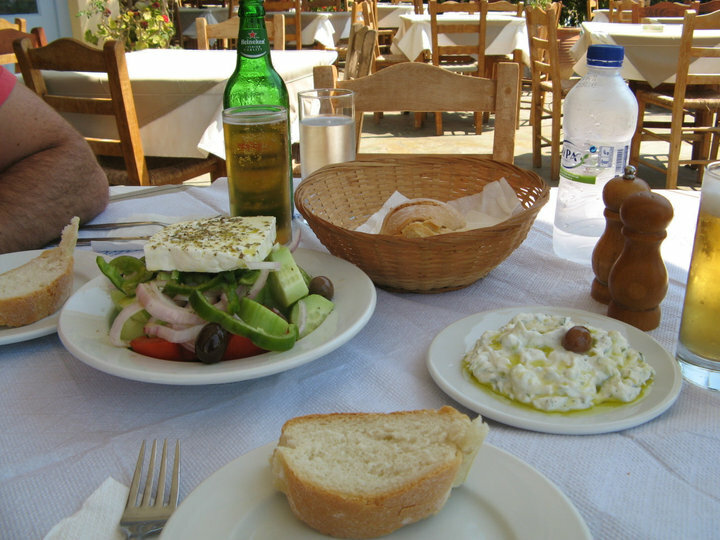 We always had to have the Tzatziki and Greek Salad. The Feta was so fresh it was like eating pure cream, with a hint of salt. Husband had the Moussaka nearly every day, he loved it so much. 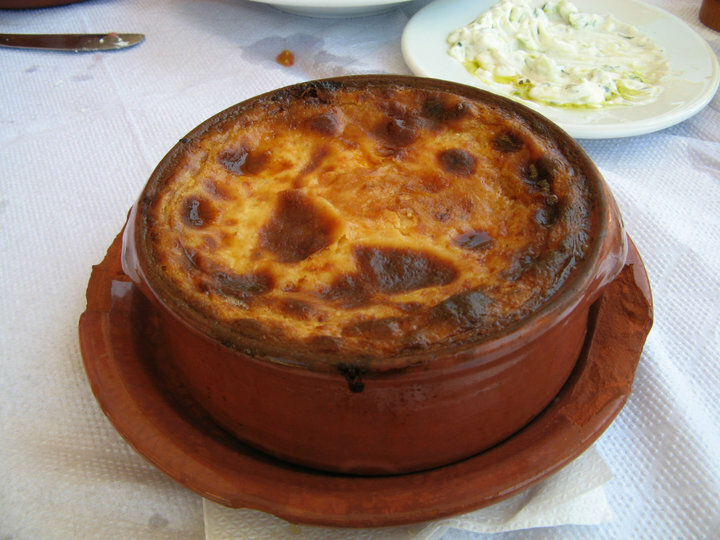 I have been trying to replicate this Moussaka ever since we got back to Australia. I even emailed the owner of Kontos for the recipe, which he kindly gave to me. I have gotten very close, but have not been able to replicate it perfectly just yet. It is on the Life List because I need to go back to Kontos and have a master class with the chef, so she can show me how it is done. I am determined to get it perfect! Mikri Vigla is famous for its wind surfing. We loved watching people sail by while we sun baked. 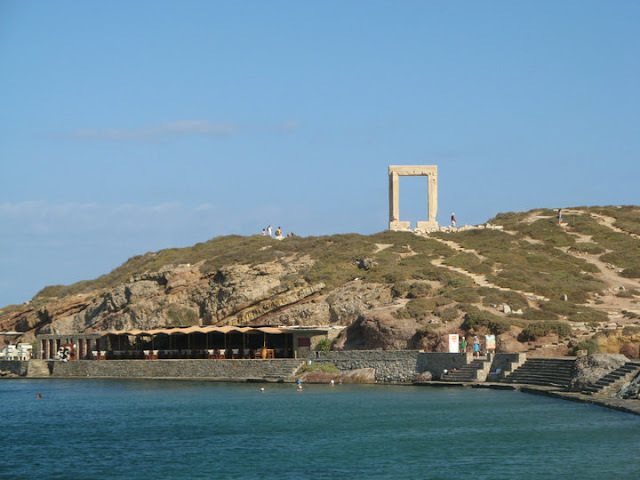 Naxos also had some amazing ruins. 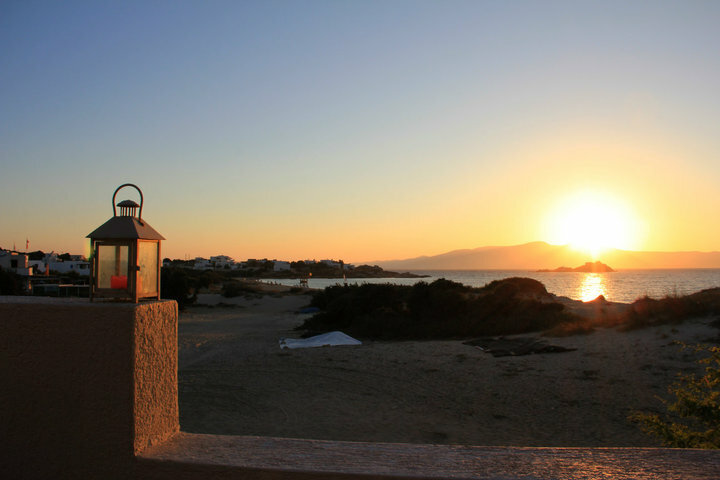 We are so looking forward to returning to Naxos and eating at Kontos everyday again. 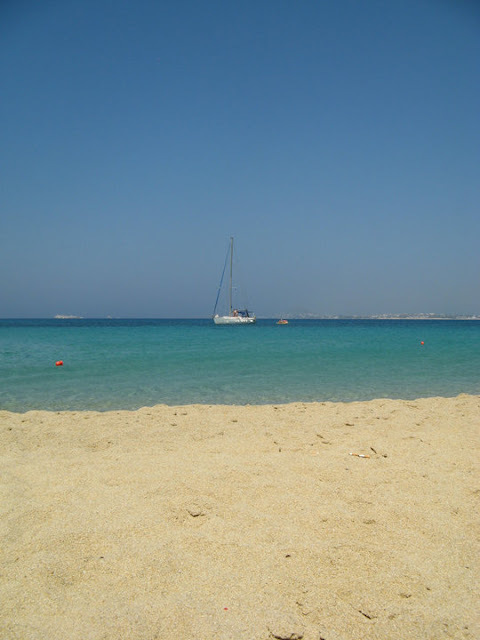 We are also excited about exploring new Islands that we will discover on our adventures. 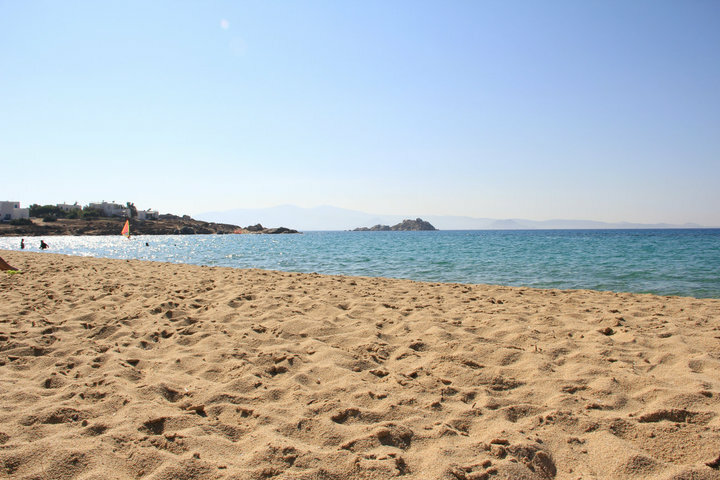 I can't wait to write about some gems that we discover while in Greece. Not sure when we are going to go, but hopefully it is very soon! 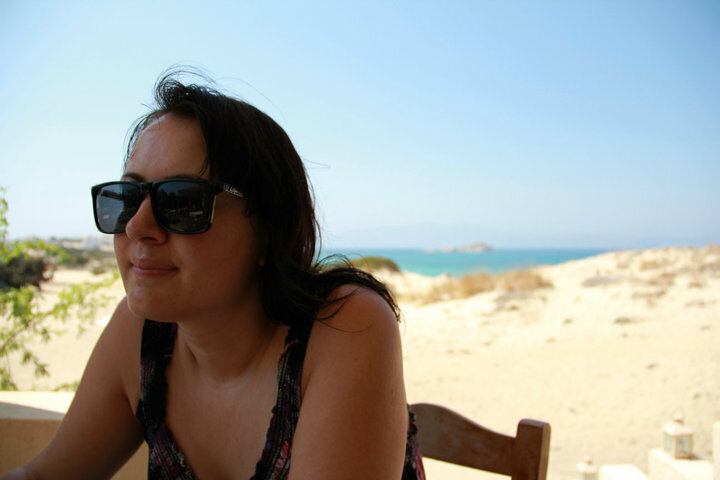 I'll explain Santorini in a few posts time.